You’re probably here because you’re using hashtags on Instagram but you aren’t quite sure if you’re doing it right.. Or maybe you aren’t sure about hashtags at all. How many do you use? How do you choose them? Where do I put them? Well you’re in the right place and you’re on the right track! Hashtags are so very powerful that using the RIGHT hashtags can make a massive difference in the amount of engagement your photos receive and the amount of targeted users you get visiting your feed. Why is it important to have targeted users visiting your feed and not just random ones? Well, those targeted people are the ones who are most likely to enjoy your content (not just one picture, but all of them!) and the chances of them following you are very high! Remember, targeted users or your “target market” are the people you think would be interested in your content / business / products / services, etc. To be successful on Instagram (and business in general) you need to always keep this person in mind and to be creating specifically for them..
2. Don’t use irrelevant hashtags. #love and #happy may describe the feelings your image gives you, however if your entire feed isn’t about or promoting love and happiness, these tags become irrelevant and can attract the wrong audience. See Do #1 for an alternative. 3. Don’t choose hashtags based on a single photo or use new hashtags for every photo. This is a haphazard strategy that could bring you likes one day, but not the next day. Consistency is key and choosing hashtags on a whim may hinder your success. See Do #3 for suggestions. 4. Don’t copy your competitors hashtags exactly. Sure, checking out what your competitors are using is a way to get a head start on your Hashtag research but don’t trust them as the expert. Set yourself apart, be unique, select tags for YOUR business and YOUR audience. 5. Don’t use hashtags that contain jargon or industry keywords. This is a surefire way to attract your competitors and not your target market! Think about each and every hashtag you use.. Would your target market search for this? If not, don’t use it. For example, if I was looking for a graphic designer I might search #logodesign, not #adobeillustrator. 6. Don’t worry about where you put your hashtags. You’ve likely heard the long-time debate about whether or not you should put your hashtags in your caption or as the first comment. The truth is, your hashtags will work the exact same way regardless of placement. I prefer to keep my hashtags in the comments so my audience stays focused on my content, but it’s entirely up to you! 3. Do create a “set” of hashtags that will work for every picture in your feed. By selecting a combination of tags that describes the content you regularly share, and tags you believe your target market is looking for, you’ll easily attract the right audience to your feed, each and every time you post. Save these as a note in your phone so you can easily copy and paste onto your posts. *If you find this is difficult, you may want to reign in the focus of your account. An account that is too broad is not destined for success on Instagram. 4. Do conduct hashtag research. Using the search bar in Instagram, look for keywords that describe your account. From there you will be given a list of potential hashtags. Check out their post count, the images shared within it and ask yourself if it compliments your content. Also, be sure to consider if your target market would search for that specific tag. If so, add it to your set! You can find more helpful Instagram hashtag research tips here. 5. Do change your tags every few weeks to month. If you find your set of hashtags is no longer giving you good engagement, or you’ve hit a plateau, consider switching up your set. Start by changing 10 to see if that makes a difference. A good way to tell which hashtags are working for you is to check which ones you’re making “top posts” for. These will give you elongated exposure so keep those. Swap out the others until you’re making top posts for all 30! Well that’s it, my Top 10 Do’s and Don’ts for Using Instagram Hashtags! If you implement these, I’m certain you will see a rise in not only in your engagement but your followers as well, as you attract the right people to your feed who actually care about and enjoy the content you share on a regular basis! 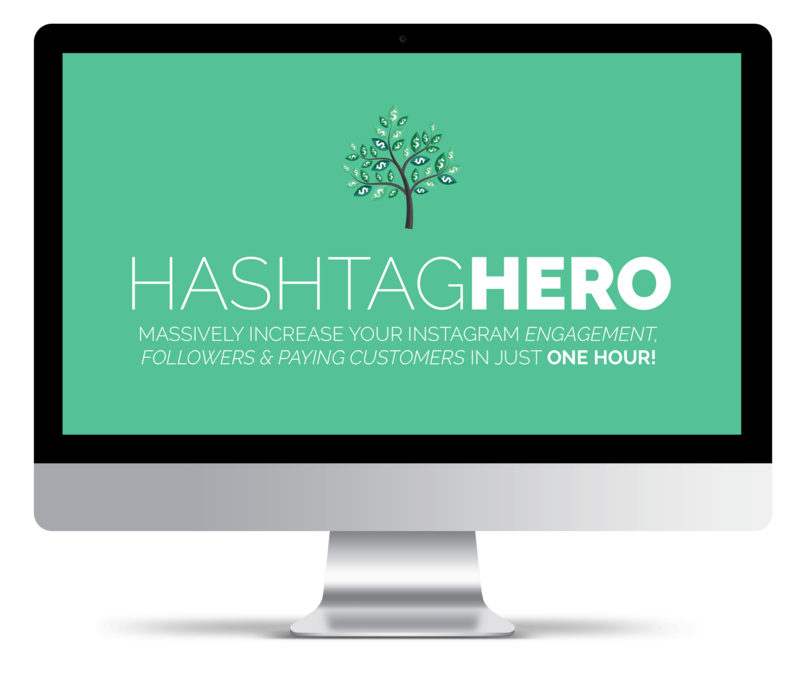 If you want to learn more about Instagram hashtags, or need help with the actual research process, please check out my course: Hashtag Hero. Inside I walk you step by step through my personal research strategy, my special 15-10-5 combination of tags that get’s me the best exposure, and other tips and tricks on how to choose the right hashtags for YOUR unique business! We are all on a different path, we all have a different target market, and different goals. With these things in mind I can’t just offer you a list of hashtags for your niche and call it a day. Instead, I can teach you how to use my tried and true methods to find the hashtags that are going to work the best, specifically for you. How did you score? Are you implementing these do's and don'ts? Thank you so much for this Alex. Irealised that I have been making the mistake of not using 30 hashtags on my IG. I always thought it came of as being desperate. Have to try using all next time. Agree about doing a hashtag audit at least once a month to see if any changes need to be made, adding new ones, deleting the ones that are not working as well or have become too popular. A good reminder Alex! Hi Emily, hashtag generators are helpful to get ideas, but you still want to research the results in Instagram to ensure they are quality hashtags that align with your target audience. Amazing article! Thanks being so generous with your knowledge. I personally struggle with finding 30 hashtags that are relevant. Would you suggest expanding some such as, #ilovemykids and #ilovemykidssomuch which are also the 2 top tags. Looking forward to your blog next month. Great advice Alex. Some of it I worked out just by using Instagram for years, other is obvious now you come to mention it! Thank you for being so helpful. Great advice on reviewing the hashtags regularly, with the view of getting all of them into the Top9. Thankyou, Alex, you now have a single page that will be very useful. Thanks for your input Andrew! Yes, I think once you’ve made it top posts you can soak that up as much as possible, then even try to increase the size the tag and “conquer” that one as well! These are great tips Alex, thanks! I’m committed to getting Hashtag Hero this coming Friday!